The founder of the Movement for the Actualisation of the Sovereign State of Biafra, Ralph Uwazuruike, says the Leader of the Indigenous People of Biafra, Nnamdi Kanu, has been compromised, adding that the Federal Government has bought mansions for him in London. Uwazuruike said this in a chat with The Interview, a monthly magazine. The MASSOB founder said Kanu had been secretly recruited by the Muhammadu Buhari-led Federal Government to destroy the Biafran movement from within. He said, “Apparently they saw Nnamdi Kanu as someone of high value for use. They heard him shouting on radio and approached him and he accepted. Naturally, only a strong, principled man can say no because they will give you irresistible offers. Uwazuruike said the IPOB leader was a mere rabble-rouser as he had no clue about how to attain Biafra. He said for instance, Kanu lacked an understanding of the process of a referendum. The MASSOB leader said, “Let him tell you his own agenda. What does he know about Biafra? Somebody who doesn’t know the difference between an election and a referendum; that there is no difference between election and referendum. Uwazuruike slammed Kanu for using hate speech to promote his message. He said Igbo people were known as a decent and respectful people but Kanu’s tactics was changing the mindset of the people. He said it was such hateful rhetoric that caused the Arewa youths to issue a quit notice on Igbo living in the North. The MASSOB founder said innocent Igbo living in the North might lose their lives because of Kanu’s misinformed utterances. 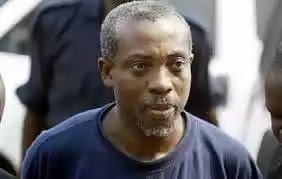 Uwazuruike said even though he was detained for over two years by former President Olusegun Obasanjo, he never insulted the ex-President because he respected the office of the President. He said the best way to attain freedom was to use a decent and non-violent approach like Martin Luther King (Jnr.) and Mahatma Gandhi. The MASSOB founder added, “Ndigbo must make sure they bring up their children well. Nnamdi Kanu is a bad example of what an Igbo child should be. He insulted the President-General of Ohanaeze Ndigbo. Uwazuruike lambasted Obasanjo and Buhari for marginalising Igbo, accusing them of hating people of the South-East. He said Igbo knew that Buhari did not like them and that was why they voted massively against him in 2015. He added that Buhari’s attitude towards them was expected.